Political subdivisions such as counties and schools would be required to hold a public hearing and vote before collecting additional property taxes generated by valuation increases under a bill heard Jan. 24 by the Revenue Committee. 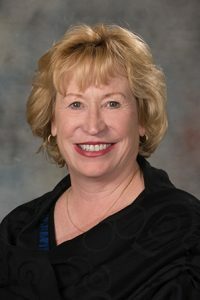 Under LB103, introduced by Elkhorn Sen. Lou Ann Linehan, if the annual assessment of property within a political subdivision would result in an increase of total taxes levied, the political subdivision would be required to reduce its levy for the current tax year so that the amount of taxes raised is no more than in the previous year. The bill would apply to community colleges, counties, educational service units, learning communities, municipalities, natural resources districts, sanitary and improvement districts and school districts. If a governing body decides that a levy increase and an additional property tax request are necessary, it would be required to hold a public hearing on the issue. After the hearing, it could raise the levy by passing a resolution or ordinance. At least 30 days’ notice of the hearing would be required, and notices would include the proposed tax rate and budget increase. Linehan said the requirements would ensure that political subdivisions cannot collect more in property taxes from one year to the next without public input and action by governing boards. Testifying in support of the bill was Bruce Rieker, who spoke on behalf of seven agriculture organizations including the Nebraska Cattlemen, the Nebraska Corn Growers Association and the Nebraska Farm Bureau. Rieker said the bill would help provide relief to the state’s agricultural producers, who he said pay the highest property taxes in the country. The bill would bring more transparency and accountability to local tax collection while retaining the authority of elected boards to increase their property tax request, Rieker added. Sarah Curry, policy director at the Platte Institute, also testified in support of the bill. Nebraska has the seventh highest property taxes in the nation, she said, which a recent Federal Reserve Bank of Kansas City report attributed in part to large valuation increases in both rural and urban areas of the state. One of the most effective ways to substantially reduce property taxes is to limit local governments’ property taxing authority, Curry added. Testifying in opposition to the bill was Kyle McGowan, speaking on behalf of several education organizations including the Nebraska Council of School Administrators, the Nebraska Association of School Boards and the Nebraska State Education Association. He said school board budget processes already are transparent and that board members currently should be discussing their property tax request at annual budget hearings. The separate hearing required under LB103 would be redundant, McGowan said. Lynn Rex, speaking on behalf of the League of Nebraska Municipalities, also testified in opposition to the bill. Political subdivisions are required to certify their annual property tax request by Sept. 20, Rex said, but certified property valuations usually are not available from county assessors until Aug. 20, making it impossible to give 30 days’ notice for a public hearing on a levy increase. 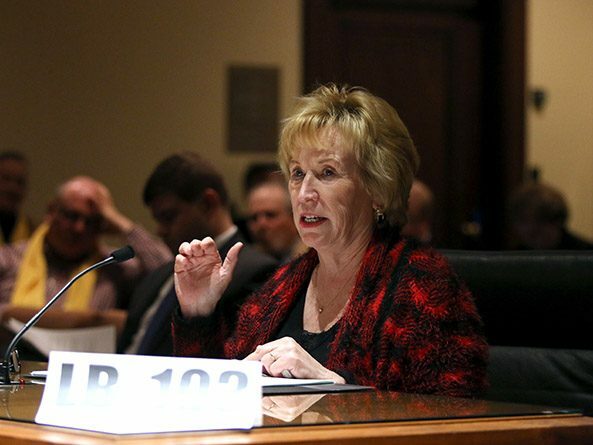 Placing hearing notices in local newspapers, as the bill would require, would be prohibitively expensive for many of Nebraska’s small communities, she added.